Ripple Maker 3D Prints Images and Messages Onto Coffee Foam, Now Optimized for Nitro Cold Brew CoffeeIf you're like me, you might find yourself up late at night setting up a project to 3D print overnight, only to wake up to a mess of plastic spaghetti. Even when everything prints well, your reddened, bleary eyes may not recognize it and your sleep deprived brain may not be able able to process it. New gadget can put your face on your morning latteYour barista's latte art is about to go next level. And even more pretentious. Because there's a new gadget on the market, called the Ripple Maker, which can print anything you fancy in foam - including your own face. Would you recommend Ripple Maker to a friend? I would like to go anywhere that has this coffee maker so I could literally experience drinking my own face. Because.. Why not? Also, what if printed coffee becomes a lucrative new ad space? I just really like this idea. Erika Okumura has never used this product. Srinivasan S Saripalli has never used this product. Apparently there are 5 coffee shops around me that have a Ripple Maker. What should my first Ripple be? 🤔 EDIT: As per @rrhoover's request, I went to try it out! 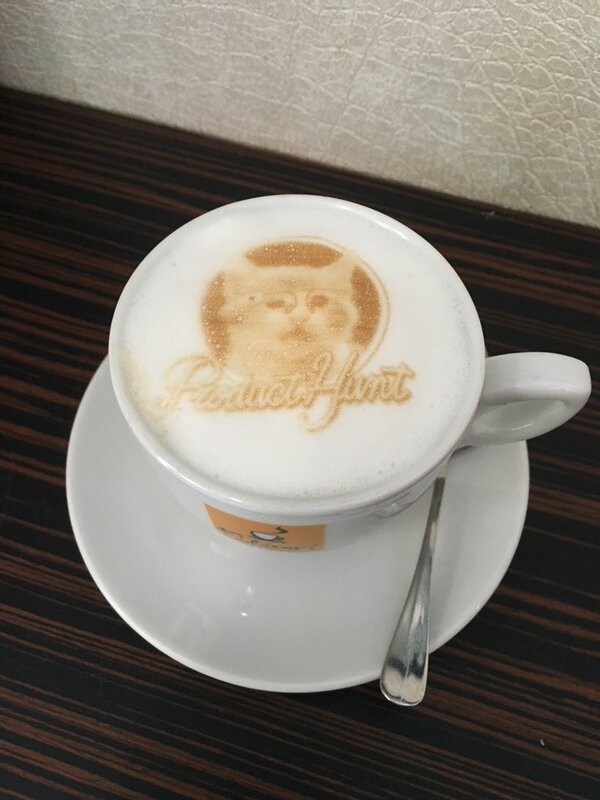 Got myself a PH kitty latte but felt very bad drinking it afterward. 😋 More photos here. @jackdweck wow , what is this app its the first time I see it ?? @hammouriomg @jackdweck I agree, I want to see if any coffee shops here have one! What app/site is that? @thatmattgardner @hammouriomg you can download it here. Let me know if you find any! Get your own Zuckerberg latte! 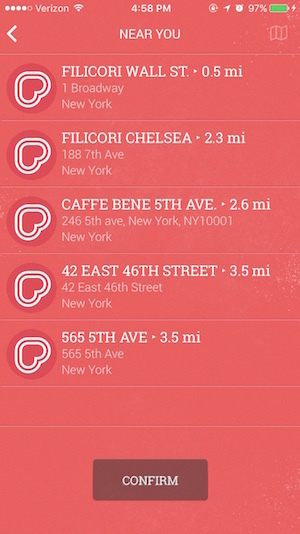 @rrhoover Wonder how soon bars would start selling ADs on coffee)) Perfect consumer contact! @michaelbabich oh no. drinking an ad - now that's a new low. @rrhoover New AD model for bars & brands — give coffee with brand AD on it for free. Everybody win: the brand gets consumer contact, bar gets money, consumer gets free coffee. Roger HuangHiring@rogerh1991 · Build all the things. @rogerh1991 I can do this. I just need a small loan of 1 million dollars. @aamerjomaa Would you settle for $1 and a Klondike bar? @rogerh1991 do I get to eat it while I work? Subscriptions are eating the world. It feels like soon I will have a subscription to my washing machine. @danr_4 I share your fear. @hunterwalk - maybe you can spice up your infamous coffee pics? Ratio is smarter than your average coffee maker.